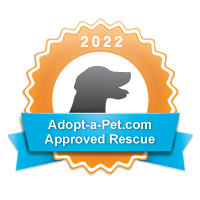 You are here: Home - Blog - Success Stories - 2nd SPOT Anniversary with an Adoption!!!! 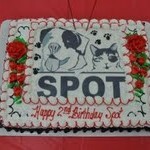 SPOT had it’s 2nd anniversary celebration on Sunday…and it was a huge success!!! We had volunteers with their dogs and fosters even brought their SPOT dogs!!! 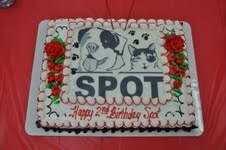 We had a fabulous birthday cake and plenty of treats for the dogs!!! Our pups Tonka, Saucy, Spicy, and Chevy were a big hit! 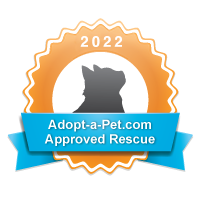 !..in fact.. Spicy was adopted by Thomas!!!! Way to go Spicy!!! !